This is the customer testimonial page. More video comments will be added when we have time to interview more customers. Stay tuned! Comments: Vince and his team worked very hard in completing this job. Very nice work and I would definitely recommend and use them again. The crew was extremely nice and professional. My Mother and I are very pleased that we chose Dependable Concrete. Comments: In the end he did a great job with the project (minor sidewalk replacement) and was pleasant to work with. However, he was ironically not very dependable. My husband had taken off of work to be there while he did the work, but he texted us at 8 am that morning to say he couldn't do it until the next day. He did show up the next day and it was completed when we got home from work. I priced out about 5 different places and he was the cheapest by far. Overall a good product for a good price, just be prepared for possible delays. Comments: Vince worked within our tight schedule of getting the work done for insurance purposes - he was really great to work with and did a wonderful job. Comments: Nice job, and they did exactly what I asked them to do. Comments: The job looks great, nice, friendly employees. Comments: Very professionally managed from start to finish. The work crew was careful about the exterior of my house. They kept everything clean and worked efficiently. The craftsmanship of the finished job is excellent and the materials were all as promised. Comments: have used them before and will use them again if the need arises. Comments: Very qualified to do the work; they built concrete steps, replaced and repaired stucco and repaired a retaining wall in our backyard. Each project was done quite professionally and look amazing. Vince and his team worked quite hard to get the project done and left our place spotless upon leaving each day. I strongly recommend Dependable Concrete for any concrete project. Comments: Vince and his crew were prompt, professional and polite. Their price was good and their work turned out great. Very pleased with my decision to use Dependable Concrete! Comments: on time,work was done in 5 hours,cleaned up,workers were poltie. i am happy with job done. Comments: Great Experience. The workmen showed up on time, and completed the project in the argee about time frame. The company left my property is great condition. Comments: I was very pleased with the work that Dependable Concrete performed. They were on time and courtesy and diligent workers never stopping until job was completed. My front looks very nice and I am planning on using Dependable Concrete again in the future for some other cement work. People that were walking by why they were completing the work liked what they saw and was requesting business cards. I will also be referring them to my friends and family. Comments: I found them to be very responsive, affordable, and they did the work in great time! Comments: Vincent is very professional. They completed the work on time. I've since used this company for other projects, i.e. snow removal, replaced my fence & referred them to friends. Comments: the company did and excellent job and I am very pleased with my new retaining wall and walkway. Comments: I was very pleased with Vince's service. He lisiened to my situation. He took a look at the project just as he said he would and in a timely fashion. He communicated thoughout the entire process. The work was complete in the exact length of time he estimated. He informed the neighbors in my absense that they would be working in the area. He provided signs to seal off the area from traffic while the concrete was still setting. He replaced the iron rails just as they were previously. And I am 100% satisfied with his work He was courteous, polite, professional and very efficient throughout the entire experience THANKS VINCE!!! Comments: We hired Dependable to do a huge project for us. We got new steps, a patio and our basement finished. I was a hesitant placing such a large task in one company's hands but I must say that my spouse and I were thrilled with the end result. Not only was the job just perfect, but Vince and his crew were professional and courteous. He kept us abreast of every aspect of the project and made us feel at ease. After the job was done you wouldn't know that they were there. The price was just right too! He quoted us a price that was competetitive to other contractors. I would definitely recommend Dependable to my freinds, family and neighbors. Comments: Dependable Concrete was quick, professional, and the new sidewalk looks good. Comments: I am very pleased with the work done by Dependable Concrete,LLC. I was given a very clear and understandable description of what would be done to restore a problem area by using quality service and supplies with the outcome of the project looking as I want it to look. The work began timely as promised and at the end of each day (2), the area was left neat and clean. I highly recommend Dependable Concrete,LLC and I plan to use their services again within a few months. Comments: Great price, they went beyond my expectations, I'm very happy. Comments: They arrived on time for the estimate - very nice very professional - unfortunately the job was beyond what they could do. He was honest and I appreciated that he did not try to do something his company was not capable of. Comments: Worked with Vincent Douglass from Dependable; was very prompt in coming out to give an estimate and was easily reachable by phone to schedule the project. Polite, professional and returned with his crew a day later to touch up the work and make sure everything was done correctly. Comments: The small concrete job was done excellently. The workmanship was very professional. Comments: This company was very professional, provided a detailed estimate with pictures of the work area. Comments: We hired Dependable Concrete to replace a crumbling sidewalk, to remove concrete in the back yard to provide a garden space, and to parge the basement walls with concrete. 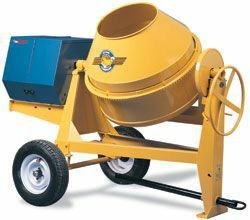 Everything about our experience with Dependable Concrete was positive. He was on time for his appointments with us, he scheduled the work promptly and he completed it in two days. His work crew was hard-working and efficient. I am very pleased with the quality of his work, and I will hire him again for any concrete work I might have. Comments: Great Company, very professional. We have recommended them to several people . I plan on using them again for another project. Comments: TIMELY, COURTEOUS AND PROFESSIONAL. Comments: THE WORK WAS COMPLETED IN A TIMELY MANNER. THE CONTRACTOR, VINCENT DOUGLAS, WAS EXTREMELY KNOWLEDGEABLE IN THIS FIELD. HE INSURED THAT WE RECEIVED WHAT WE WANTED, AS WELL AS WHAT WAS NEEDED. HE MAINTAINED A CONSTANT LINE OF COMMUNICATION WITH US WITHOUT PRESSURING US. Comments: Great website. Nice, polite workers. On time and efficient.